Transform the chaos and pain of personal struggle into a deeper connection to the Divine and your truest self with Expanding Your Heart Wendy introduces the Four Stages of a Spiritual Opening to guide readers to work through life challenges as a way to open and expand the heart. 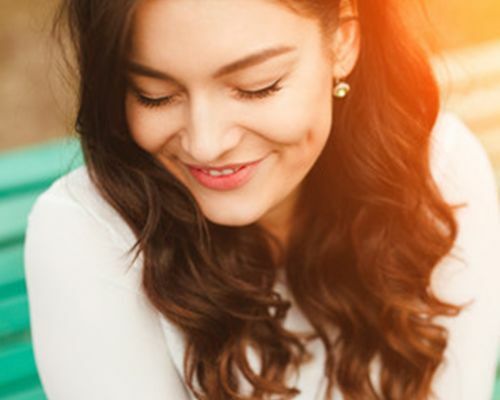 Read more about her newest book and the Expanding Your Heart Book Club to begin your journey to living more spiritually connected. Ready to put the story of being stuck, hurt, and broken behind you? Ready to heal your life? 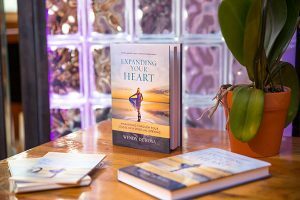 Learn how to transform personal struggle into remarkable pathways to freedom with the renowned professional healer and author Wendy De Rosa’s newest self-help book Expanding Your Heart: Four Stages of Spiritual Opening. Read on for full book details, info on the free audio download of guided meditations and bonus content, local book clubs, and more. 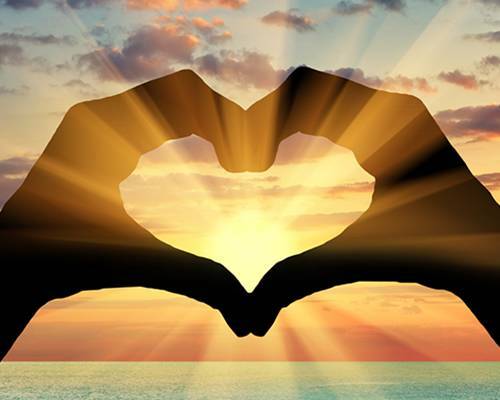 What does expanding your heart mean to you and your life? In this video, I will give you a glimpse into how this movement is the most important time of your life. We each have been shaken to the core as a result of a life-changing experience. Yet, not everyone has access to support and guidance when faced with a challenging situation. 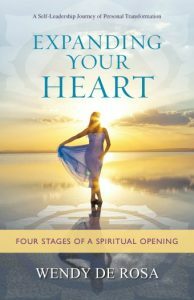 That’s why Wendy De Rosa wrote Expanding Your Heart: Four Stages of a Spiritual Opening. Working through and understanding personal struggle. Resolving feelings of being stuck, lost, anxious, or depressed. Living in a more spiritually connected way. In her book, she offers an inspiring perspective on trauma with insightful, highly approachable content for anyone who struggles with chaos or a painful past. Specifically, she introduces the concept of the Four Stages of a Spiritual Opening. Stage 1: Initial Heart Opening–A difficult or life-altering experience, such as a divorce or loss, that breaks open the heart and a doorway into the soul. Stage 2: Chaos–A dismantling of ego attachments and the surfacing of deeper layers of unprocessed emotions. Stage 3: Healing–The choice one makes to move out of chaos. Stage 4: Contemplative Being–Living with and utilizing more tools, having gone through the first 3 stages. Each of the four stages can assist you in freeing yourself from being stuck in struggle or trauma, and help you see the opportunities to have the greatest spiritual expansion of your life. 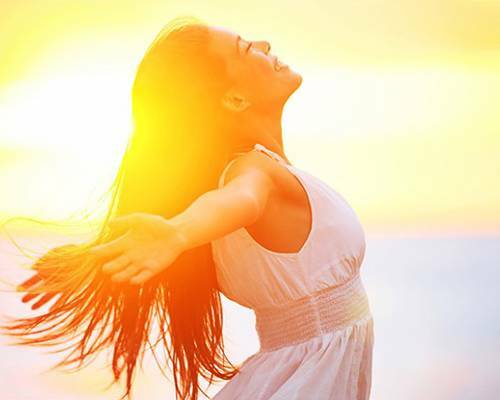 Join Wendy on this journey to living your fullest, truest self today. When you purchase Expanding Your Heart, you’ll receive free audio downloads to accompany your exploration and awakening of the spiritual heart. To access these guided meditations that follow each chapter, click the button below, enter your email, and we’ll send you your username and password.